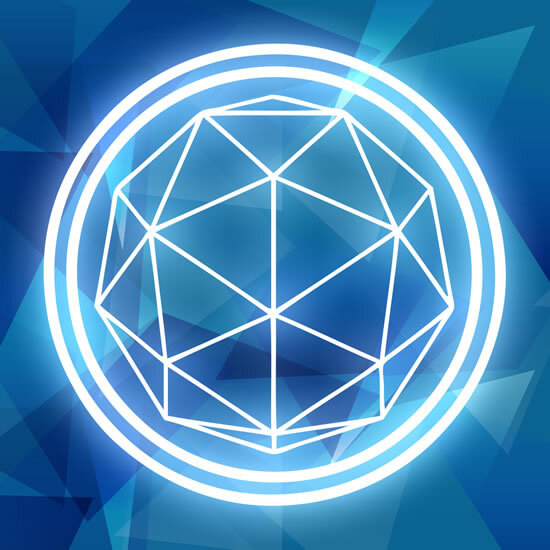 The catchphrase from the final challenge in esoteric 1990s gameshow The Crystal Maze might refer to blowing around golden tokens in a dome, but recently it proved more apt as a call to arms for fans of the show. Attempting to rebuild an entire TV show from scratch two decades later was an audacious task but fans’ enthusiasm for idea was evident as soon as the crowdfunding Indiegogo campaign launched, nearly doubling its £500,000 target. Outside of a YouTube trailer, the production has clamped down on photographs inside the maze and rightly so. This is primarily a nostalgia trip and, whilst I will summarise our whirlwind race through the maze, I will avoid spoiling as much as possible. Via Ravi we had funded at a level allowing us to book out an entire session, with 32 of us filling four teams of eight. I would recommend gathering a team of eight before booking, as knowing one another helps considerably with communication and assigning challenges. 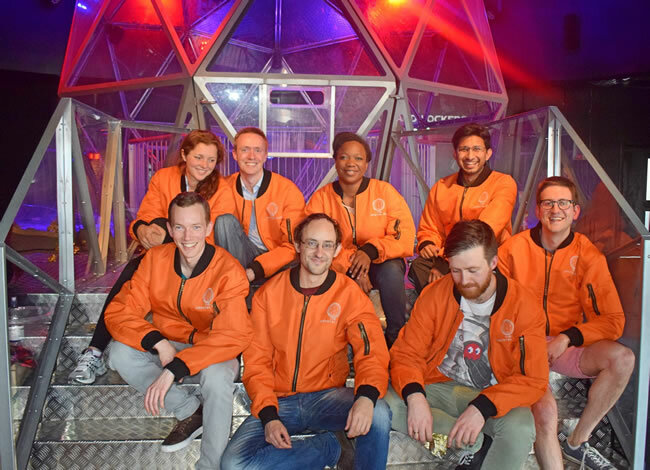 Clad in Crystal Maze branded orange bomber jackets, the group took my jokingly suggested team name more seriously than intended and we became Team Satsuma. Before long, the fearsome chant of “Sat-su-ma! Sat-su-ma!” would be heard echoing around the chambers of the maze. Fearsome if you are esperidoeidiphobic, anyway. After a short introductory video, we met our Maze Master. There are several of these esoteric characters, each guiding a different team. Whilst others were taken under the wing of a cowboy or a glam rocker, our Maze Master was essentially a P.E. Teacher, where the “P.E.” stands for Particularly Energetic. He was enthusiastic without being pushy, and befriending your guide can lead to helpful hints during the challenges. After quickly familiarising us with the format (Irina proving impressively knowledgeable despite never seen the show in Ukraine, as she had recently been subjected to a YouTube cultural re-education programme) he led us through to the sand-covered Aztec zone. Philly J seemed like the unnatural choice for team leader, so we went with him. He performed fantastically. Well, very nearly fantastically. He panicked slightly when asked to assign the first challenge and, because I was nearest, selected me and proposed a physical challenge. Not, we can probably agree, the strongest opening gambit. We were stymied primarily by the fact it took us a little while to work out what we were doing in a room that required clambering around the walls and over an unstable, rolling walkway. With time waning, and lulled into a false sense of security by a swift first run, I lost my footing and fell from the walkway, resulting in an automatic lock-in. Although we had no crystals, amended rules provided me with a riddle to earn my freedom, which naturally meant a swift escape. The set design was exquisite. The attention to detail in each of the zones (Aztec, Industrial, Futuristic and Medieval in the order we tackled them) is one of the highlights of the experience. Just moving around between challenges feels like being on the set of the show, making it easy to forget that you are actually wandering around a London warehouse (unless you are Andy preoccupied with whether you once took accountancy exams in the same building). The futuristic zone is particularly bizarre, since it is like stepping into a 90s vision of the future which now feels hopelessly dated. Here the sealed design of the challenge rooms caused some difficulties, both in terms of peering inside through reflective glass, and in muted sound making communication problematic. The crowning moments, and the biggest nostalgia rush, are traversing between zones — always at a run, propelled by the swelling theme music. Rather than a fixed number of challenge rooms, the faster you progress the more you are able to experience (and the more crystals you can earn). Expect to attempt between two and three challenges each. And yes, I did redeem myself by winning two crystals later. You’ll learn surprising things about your friends’ skills too, be it Dunni’s lithe traversal of a laser grid or the focused efficiency of Pete’s crab-like shimmy in a giant barrel. It all culminates in the Crystal Dome which is actually, through no fault of the producers, the least impressive part of the event. There is certainly a level of team bonding being enclosed within the dome frantically gathering golden tokens (they have done away with the silver ones, since catching them is hard enough as it is) but a little over a minute is scant time to experience it, making it much less enjoyable than the games which come before. It is an issue with the original format rather than anything else, and the dome is an essential component of the nostalgia rush that makes this such a worthwhile activity. My only minor gripe is that, after all that fun, a souvenir crystal isn’t included in the hefty ticket price. Those who competed on the show had one to take away and it’s a testament to the experience that I want to be reminded of my time there in a similar way.